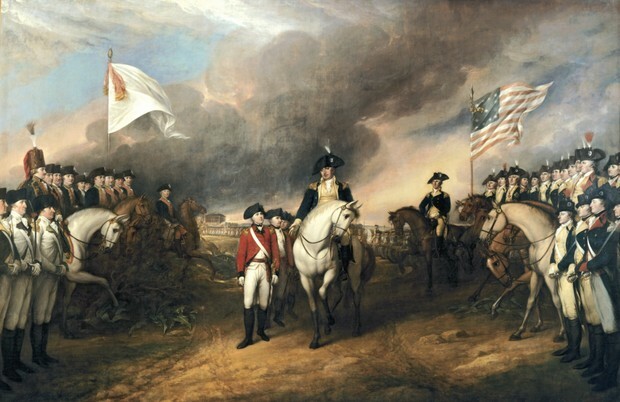 The American Revolution was when the colonist that lived in American started to rebel against Britian. 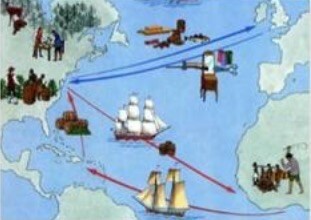 This rebellion was caused by the way the British treated the colonists by giving them lots of taxes and rules to follow. The colonists, every time boycotted the items that needed to be taxed and rebelled against the the rules. The Navagation Act was a act that didn't allow the colonist to trade with other countries. The colonists had to go to England with all of the stuff the were going to sell and have it taxed in England. The Sugar Act caused all sugar products to be taxed. This act caused almost everything to be taxed. 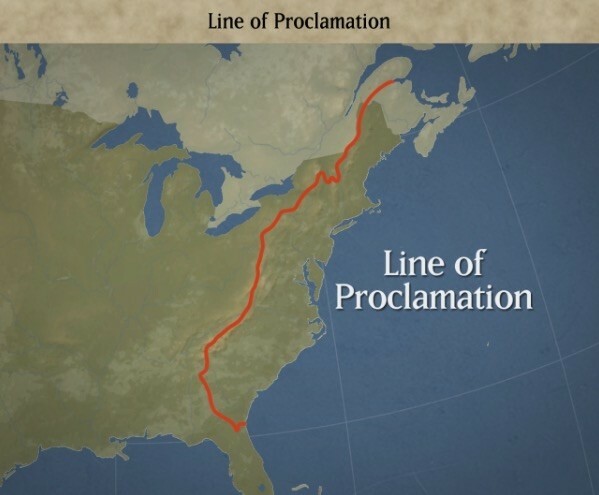 The Proclamation of 1763 was when the colonist won the French and Indian war. When they won the war they got the land that the French owned. When the king heard about this he did not want the colonist crossing the Appalachian Mountains. The colonist did not like this at all because they thought that since they won the land they should be able to settle there. The king thought that all the money that was spent on the last war was to much so he didn't want the colonist spending anymore of his money on fighting with the Native Americans. The Stamp Act was when all paper items had to have a stamp on them. These stamps cost money plus the amount you where paying for the paper product. 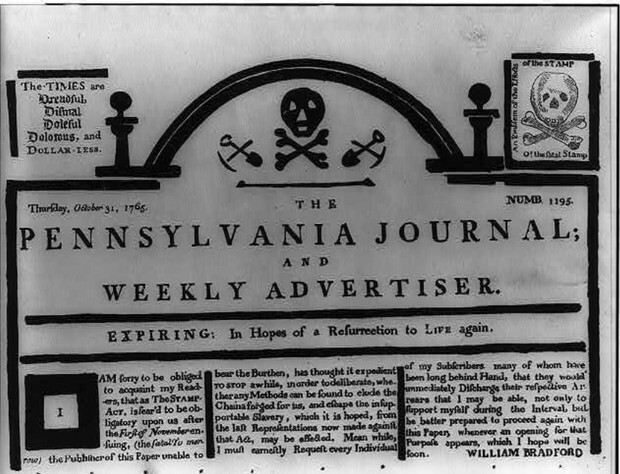 The items made it a lot harder for the colonist to buy paper products and most newspaper printers had to be shut down because they could not afford the paper. The Quartering Act was when the colonist had to house, cloth, and feed the English Soldiers. The colonist didn't like this idea and they would try to rebel but they still would have to house the soldiers. The soldiers had all rights to all of the colonist stuff. 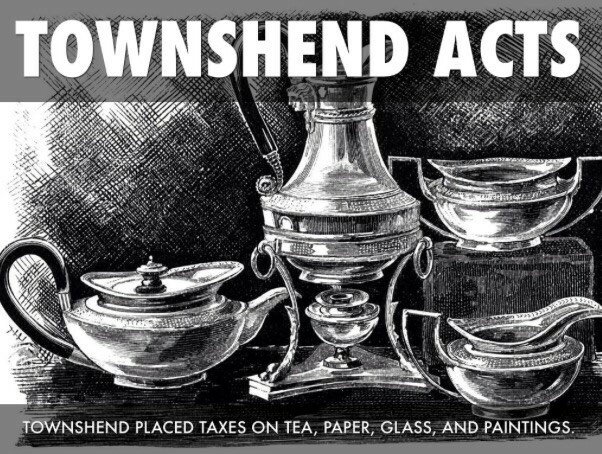 The Townshend Act was when almost every item was taxed. All glass, tea, paper, and paints. All the colonist started to boycott these items. 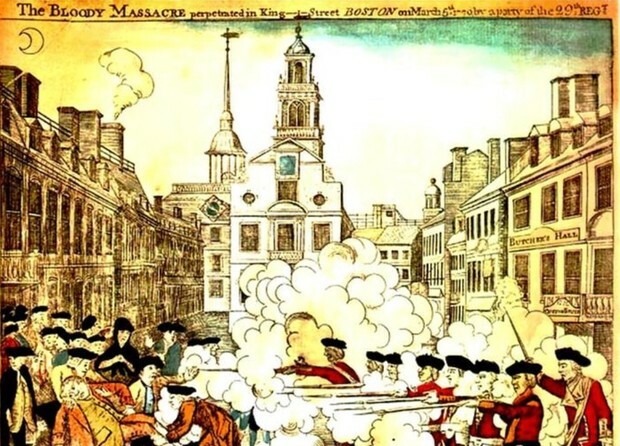 The Boston Massacre was when a group of colonist and English soldiers started to argue and get into a fight. When the fight began it was just words. But after a few things where throw from the colonist the English shot five colonist men. 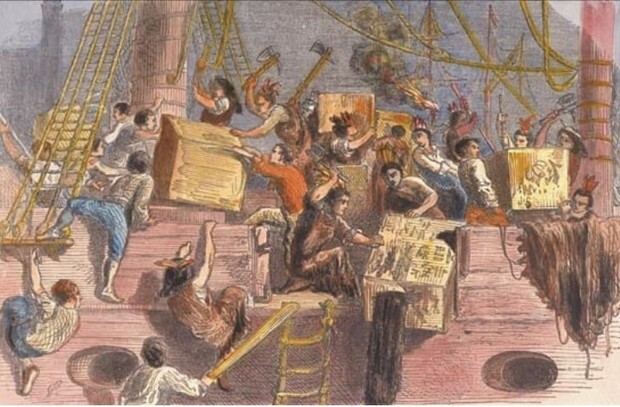 Tea Act & Boston Tea Party was when the king put a tax on the incoming tea's. When the colonist heard about the Tea Act they thought that it was a outrage. The Son's of Liberty dressed up as Native Americans and dumped all the tea into the ocean. 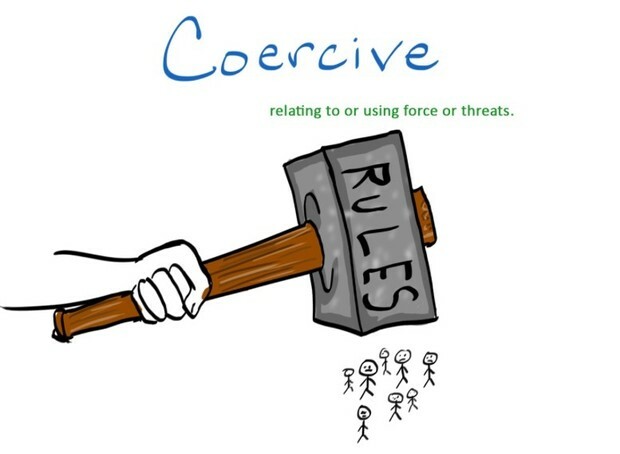 The Coercive Act was when the king of England increased the amount of rules in the colonies. Some of the rules where more soldiers came to Boston. 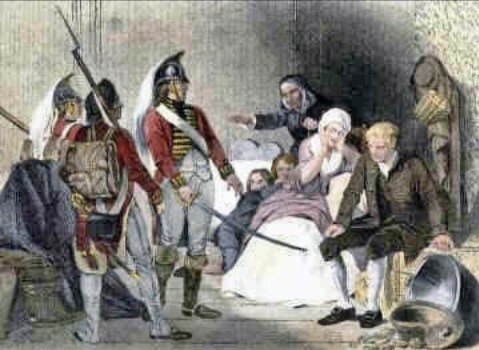 The colonist had to house the soldiers and if they did not it was bad news. The colonist had to pay of the tea that was wasted when the Tea Party happened.